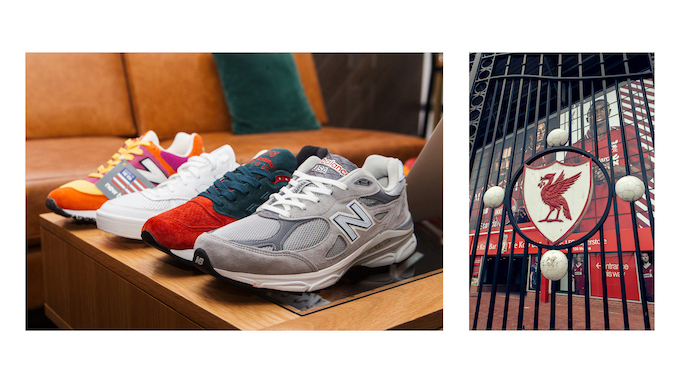 The idea of allowing customers to directly customise the colour, design and features of their shoes is the marketing strategy from heaven. I’ve spent countless hours customising my perfect shoes. 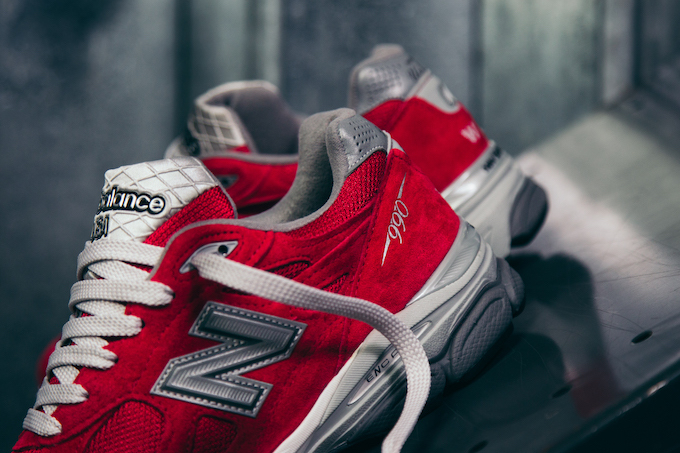 I usually abandon my masterpieces at checkout, but it still instils dumbfounded notions that we all conceivably have promising careers as shoe designers. Which of course we don’t. 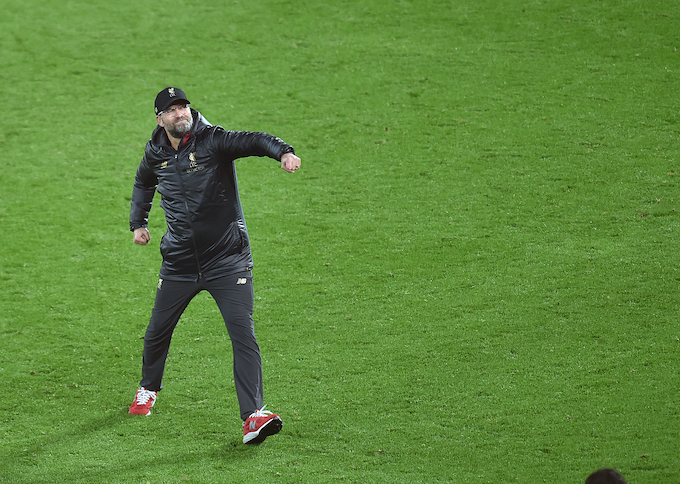 But one man who clearly does have knack for it is Liverpool manager Jürgen Klopp. 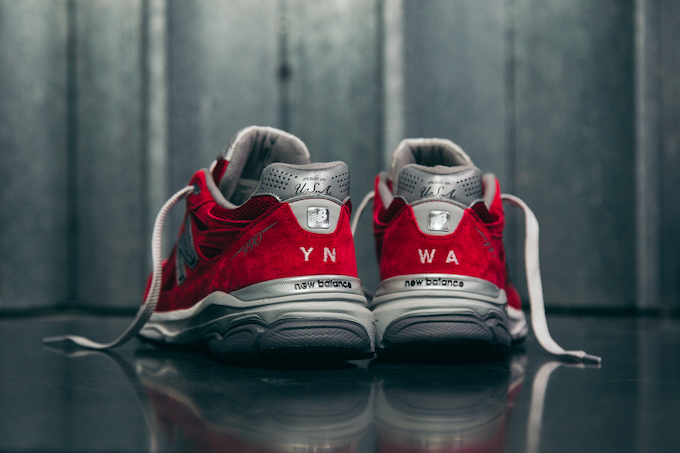 Despite being in the middle of leading Liverpool to their most serious title challenge in years, Klopp recently met with the club’s kit sponsors New Balance in a collaboration with The Drop Date to design a pair of trainers. 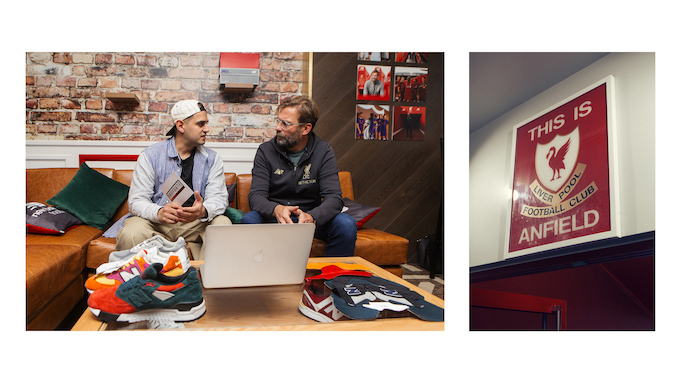 In conversation, Klopp revealed his style influences and go-to trainer of choice, before customising them via the NB1 platform. 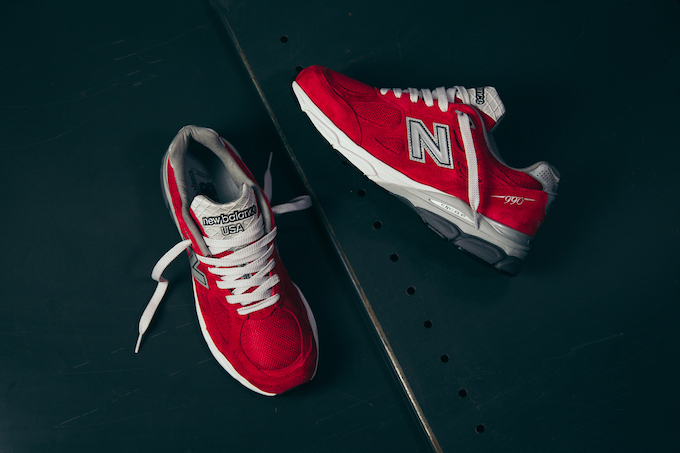 He singled out the 990V3 and highlighted the importance of comfort while operating from the touchline. 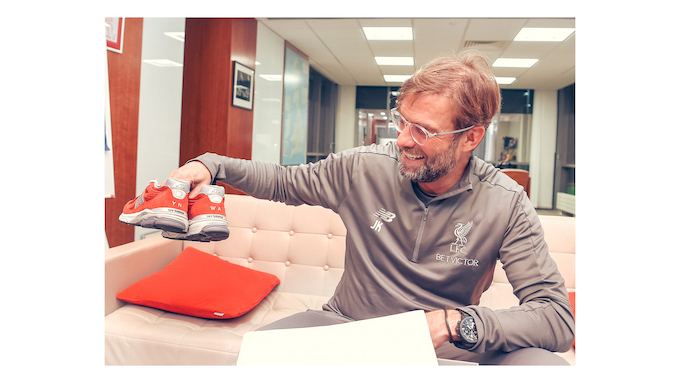 The Liverpool boss opted to mirror the clubs signature red home kit as the main colour scheme in a suede upper, with embroidered abbreviations of the famous club anthem “You”ll Never Walk Alone” on the heel for a personal touch. 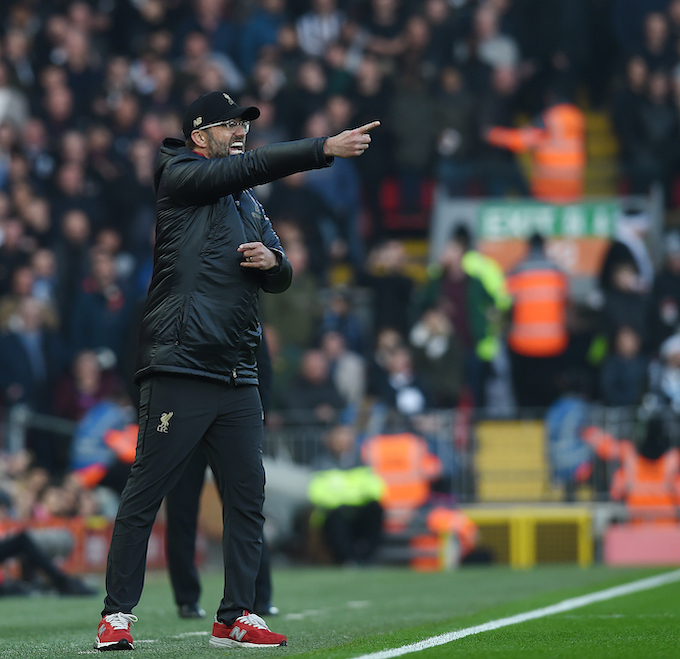 Clearly content with his creation, he debuted the trainers in the match against Newcastle at Anfield the following weekend. 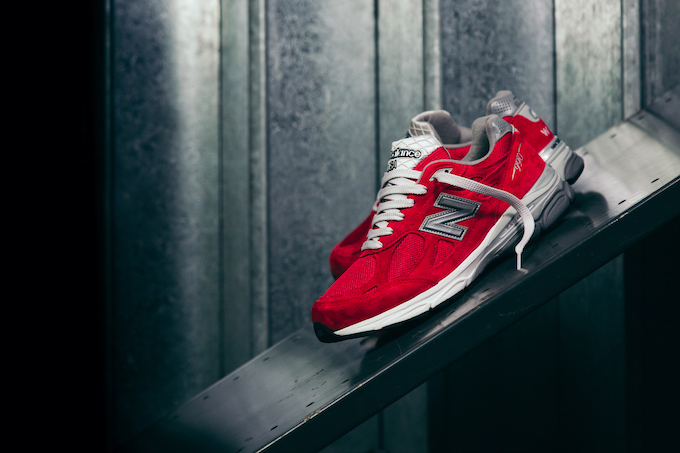 Klopp’s 990V3 can be purchased as a pre-configured design on NB1 now, as well as the option to design custom variations of this model and others. 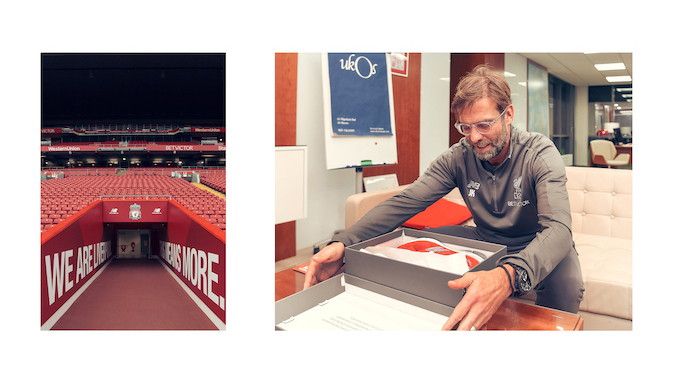 Check out the video with Jürgen Klopp below, and head over the New Balance website to access to the NB1 platform, here.